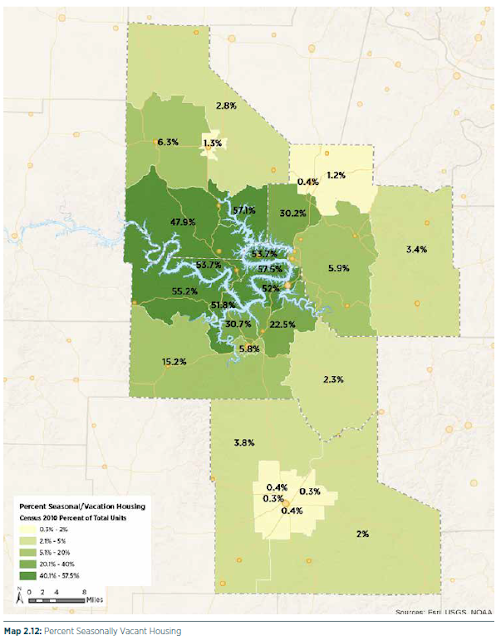 The Lake of the Ozarks Regional Housing Study represents an in-depth study of the housing conditions in Camden, Miller and Morgan counties, as well as Laclede County. Building on the population and economic characteristics we discussed in last month's blog, today we dive into household size and other household characteristics. Households around the Lake of the Ozarks region tend to be smaller, reflecting the older median age and the type of housing these populations demand. Young families are locating in the population centers and rural areas off of the Lake. A region's occupancy and housing age can tell a lot about the makeup of the housing market, gaps and opportunities.